For my NEW YORK TIMES Sunday Review essay, on the nature of the writer-reader relationship in a book like The Abundance, click here. Wonderful review in THE ECONOMIST. NPR INTERVIEW about the novel, my family, food, and the nitty-gritty of time management. Featured Author and Novel at the 2014 Ohioana Book Festival. HUFFINGTON POST Video Interview about the novel and "immigrant fiction." BBC Interview...is no longer available online. * THE NEWS-REGISTER * THE CLEVELAND PLAIN DEALER * HYPHEN * KHABAR MAGAZINE * INDIA CURRENTS * COLUMBUS MONTHLY * NEW YORK PUBLIC LIBRARY SELECTION * LIBRARY JOURNAL * KIRKUS REVIEWS (STARRED REVIEW) * etc. (US Cover--CLICK TO PURCHASE FROM AMAZON.COM). This heartbreakingly lovely novel evocatively captures the often contentious but ultimately loving essence of a cross-generational Indian American family. Steeped in traditional Indian culture and customs while at the same time embracing their prosperous American lifestyle, the parental protagonists are often at odds with their more thoroughly westernized adult offspring. When they learn their mother is dying, physician Mala and investment banker Ronak return home, embarking on a family project revolving around that staple of the fictional memoir: food. As she teaches her formerly reluctant daughter the timeless art of ethnic Gujarati cuisine, the unnamed narrator copes with her physical deterioration by mentally unfurling her past. Meanwhile, new bonds are forged and old ones are strengthened as the family dynamic necessarily shifts. 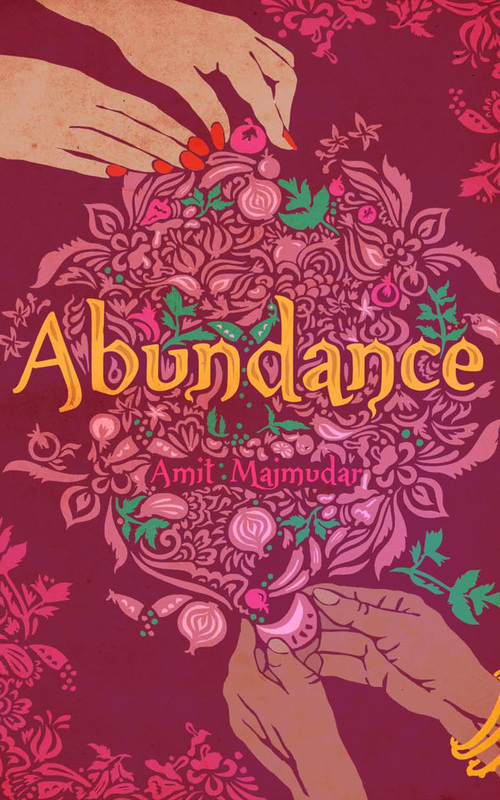 Majmudar, author of the highly regarded Partitions (2011), displays an understated flair for imagery and language, communicating the significance of the ties that bind without ever resorting to mawkish sentimentality. Delectable and convincing literary fiction that subtly shines the spotlight on some basic universal truths.